Delray Beach is a city found on the coast of Florida in Palm Beach County. It has a population of about 65,000 residents and it's a part of the Miami Metro area, which has a population of nearly 6 million residents. Between the beach and the close proximity to Miami, Delray Beach sees its' share of tourists every year. The many tourists coming to the area, mixed with regular residents, makes for dangerous road with a clash of driving styles. Interstate 95 runs directly through Delray Beach, along with Highway 1 and A1A. The stretch of I-95 found in Florida is known as the most deadly highway in the entire country. About 186,000 vehicles use I-95 in Florida every day. Palm Beach County has an average of about 15,000 traffic accidents every year with more than 175 fatalities. Just about every accident in the county involved an injury and more than 1,000 are alcohol related every year. The county also experiences more than 500 pedestrian injuries from traffic accidents every year. The traffic crash statistics in Palm Beach County and Delray Beach are on the rise. Could you imagine how high these numbers would be if the law enforcement officials in Delray Beach didn't give out traffic tickets? In 2015, over 127,000 traffic citations were handed out to drivers in Palm Beach County. About 67,000 were given to drivers going too fast, while another 7,600 were handed out to reckless drivers. Only 15% of all the tickets issued were dismissed by a judge, which means your chances of getting your ticket dismissed are very slim. If you don't obey the traffic laws, you might end up with a suspended license in Delray Beach. After having your license suspended, if you make the mistake of driving anyway and you get caught, you may face up to $500 in fines and 90 days in jail. Traffic tickets come with points, which are added to your Florida license. Each ticket has a specific point value assigned to it ranging from 3 to 6 points. If you get 12 points worth of tickets in 12 months, you will face a 30-day license suspension. Get 18 points in 18 months and your suspension goes up to 90 days. If you happen to find a way to get 24 points in 36 months, you will lose your license for an entire year. It's easy to see how you could accumulate enough points to lead to a license suspension in a short amount of time. Keep in mind, sometimes; you can receive more than one traffic ticket in the same stop. 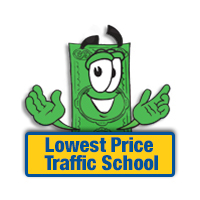 Traffic school can be taken right online, from your own home. It can help you avoid points going on your license and keep your insurance rates from going up. Even just one ticket will cause your insurance rates to skyrocket. If you received a traffic citation recently, you may be able to use traffic school to prevent the points from going on your license. Simply pay the ticket, enroll in traffic school, complete the course and turn in your certificate of completion to the clerk of the court. This will keep your license from end up with any new points from the ticket. 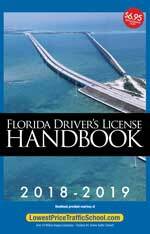 If you want to enroll in online traffic school, you just need to meet two basic requirements in Florida: One, you can only take the course 5 times in your lifetime, and Two, you can only use the basic driver improvement course once every 12 months to avoid points. As long as you meet these two requirements, you can enroll and use traffic school to avoid points. The Palm Beach County Clerk of the Court handles all traffic citations, regardless of the branch of law enforcement issuing the ticket. The clerk will take payment, answer questions and provide information about the ticket. Make sure you inform the clerk of the court if you wish to attend traffic school when you pay your ticket. Visit the Palm Beach County Clerk of the Court website for more information.